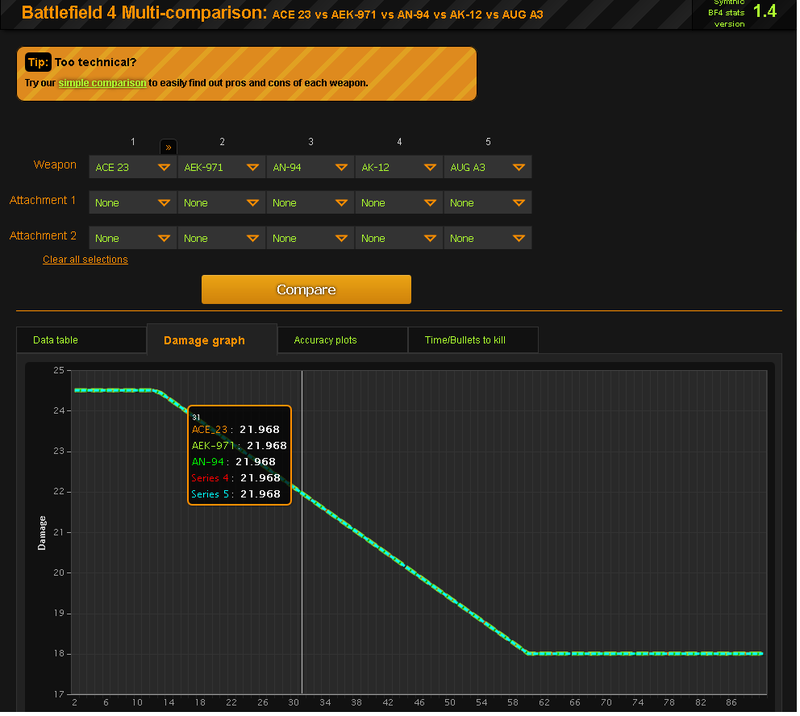 There is a small (but annoying) text bug in the weapon multi-comparison damage graph for BF4. In the damage graph the weapons 4 and 5 are not called by their names, instead they are called "series 4" and "series 5". Yeah... This bug has been around ever since the creation if Symthic v4. I have tried debugging that multiple times now without luck. It's a very weird one. Template is 99% same with the TTK graphs which work just fine but for DoM the two names just get "nulled".